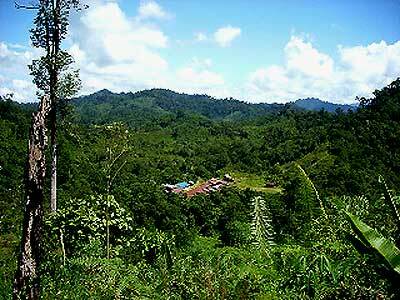 MAGICK RIVER: LONG LIVE THE PENAN! MIRI, SARAWAK, 10 Dec 2009 - Five indigenous Penan communities of the East Malaysian state of Sarawak on Borneo are suing the Sarawak state government and three licensees of timber and planted-forest concessions at the High Court of Sarawak and Sabah. The new land rights' litigation affects forestry operations by the three Malaysian timber conglomerates of Samling, Interhill and Timberplus in concessions issued to Damai Cove Resorts, Samling Plywood, Samling Reforestation and Timberplus. 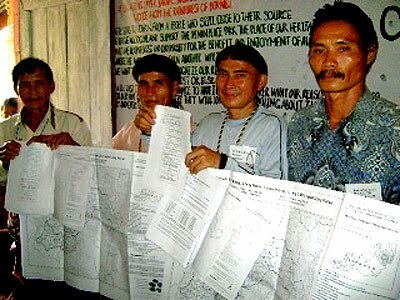 The Penan are demanding land titles for an area of 80,000 hectares, the nullification of the four unlawfully issued timber and planted-forest licences and also compensation for damage done by the logging companies in the course of their past operations. In particular, the Penan are asking the court to issue a mandatory injunction against the licensees, plus their contractors and subcontractors, for the removal of all structures, equipment and machinery from the plaintiffs' native customary rights land. In support of their case, the Penan plaintiffs have provided ample proof of the fact that they and their ancestors have been using their claimed rainforests since time immemorial. The formerly nomadic Penan hunted and gathered food from the rainforest and lived on sago (uvut) in the area until the 1950s, when they decided to settle at their present village locations. 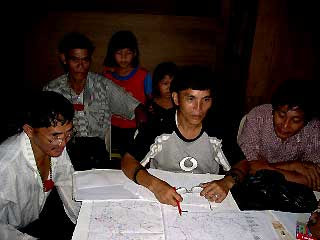 The Penan have a history of barter trade in jungle products, such as nyateng (resin for producing fire), kapon (latex from kapon trees) and handicraft items, with traders who have been coming to their villages since the early twentieth century. Sarawak government's conduct "oppressive, arbitrary, illegal and unconstitutional"
The Penan plaintiffs state that, for over ten years, various logging operators have wrongfully trespassed onto their ancestral land with bulldozers, excavators, shovels, trucks and lorries and have destroyed a substantial area of their forest, fruit trees, crops and cultural heritage, such as graves and historical sites. They object to the Sarawak government's issue of timber and planted-forest licences, which the plaintiffs consider to be "oppressive, arbitrary, illegal and unconstitutional". 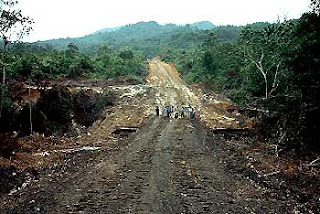 In September 2009, a Malaysian government report confirmed allegations by the Penan of the middle Baram region that a number of indigenous girls and women had been sexually abused and raped by logging company employees. An independent review of logging operations in the region commissioned by the French Accor group had uncovered numerous offences committed by Interhill against the Sarawak forestry legislation. 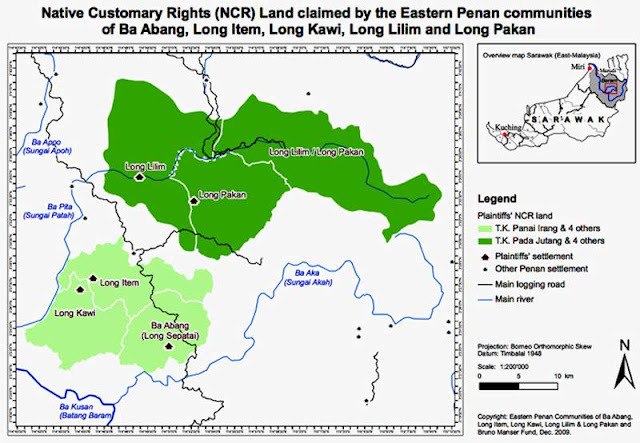 The litigation is divided over two court cases that have been filed by ten Penan leaders of Ba Abang, Long Item, Long Kawi, Long Lilim and Long Pakan in Sarawak's Middle Baram region. Both cases are based on detailed community maps and oral history documentation that have been compiled with the assistance of the Bruno Manser Fund. The cases are being handled by the renowned law office of Messrs. Baru Bian in Kuching. Baru Bian has recently been appointed the Sarawak leader of the People's Justice Party, PKR. Bro, thanks for your continuous effort in helping the good cause.